Time is money, they say, so surely it should be as carefully managed as your bank account. True of all aspects of business, this is especially so in the workshop where keeping vehicle downtime to a minimum is essential and effective time management could well lead to improved turnover. EMACS offers a system aimed at doing that and more. The business is now making headway into the bus and coach arena having already experienced award winning success with garages in the automotive body repair sector. Chris Peat finds out more about the company’s management software solution and how it can save time and therefore money. EMACS’s Bodyshop Business Manager is designed to enable independent operators to improve operational efficiency and minimise administration. 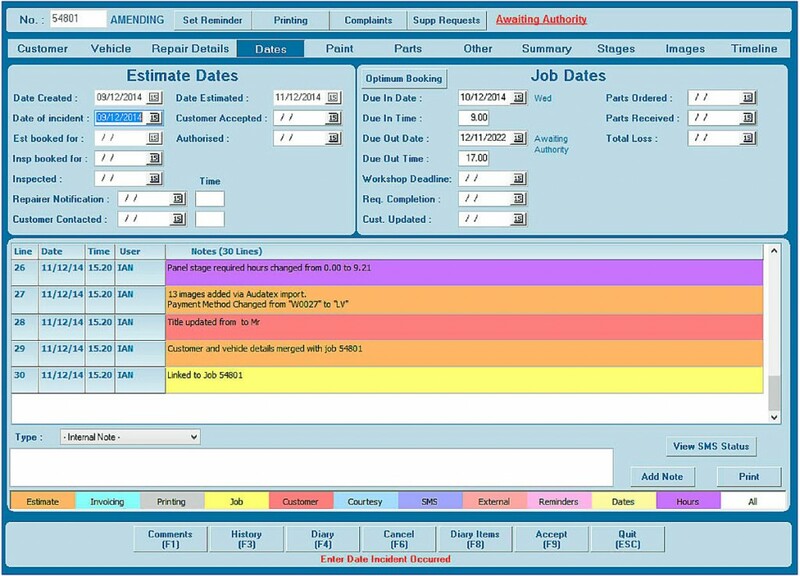 As well as allowing the user to track available resources, it manages all aspects of the operation, including estimating, creating job specifications, parts ordering and return control. It also provides a full stock control system, in addition to staff time recording, invoicing and exporting to the accounts system. Designed to aid the Workshop Controller, the EMACS solution facilitates the allocation of jobs to employees, amending times in repair stages and setting the work status. It is intended to allow the Workshop Controller to spend more time on the shop floor, rather than being tied to a computer in their office. The system is designed to monitor performance, load a bodyshop to the optimum capacity (with full traceability/history for each job) and help identify and minimise idle time. It provides a minute-by-minute picture of the health of the workshop. Overall, it is designed to help improve utilisation and efficiency, not only in the workshop but also in support areas such as administration, estimating and parts, providing total management information for a business through a suite of reports. It is important to note that the system is not just for bodyshops. Alan said it can be configured to work with all workshops, whether engineering, painting or just general repair and maintenance. It is not a case of what the customer is working on, it is a case of how they are working on it and what time is allocated where. The EMACS solution can be fully tailored to the customer’s business needs. According to Alan, installing EMACS to a workshop is straightforward. The company’s installation team will come on site and manage the change, usually covering the task over a weekend to avoid disruption to services. It promises that come Monday morning all of the shop’s work in progress will be on the new system. It is not a case of putting it online and leaving them to it. Once the system is in place, the EMACS consultants will spend three to four days on site with the company, delivering training, ensuring everyone knows how it works, inputting all information and configuring reports with the customer’s employees. As part of the EMACS installation process, the site gets a free ‘makeover’, which addresses all aspects of the facility’s business. Now in its seventh edition, the EMACS solution was first released in 1996. 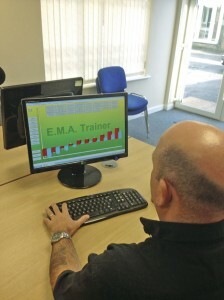 As the system has developed, a vast array of new functions have been added, which the company claims make it able to deal with virtually every aspect of running a workshop. One of the latest innovations is the EMACS ARC-AiDE app. Using a portable device such as a smartphone or tablet, jobs can be monitored and updated while on the move, improving workflow and reducing paperwork. At the touch of a screen, it enables technicians in the workshop to clock on and off jobs, take images of additional damage found and upload it direct to the job record. They can also see the next task allocated to them and check parts ordered or issued. Amongst other features, the app also allows delivery drivers to carry out all their functions without the need to take out any paperwork. It is available for both Apple and Android devices. Despite the developments and additions to the system, since day one the focus has remained on ensuring it is an easy to use product. Also constant is the company’s aim of always having someone available to answer clients’ queries. Alan said his customers are given the installation team member’s mobile phone numbers and told they can call them at any time to deal with problems. They make every effort to ensure they get back to customers the same day with solutions to any problems or any other query they might have about the system. This accessibility and offering so much support are factors that Alan believes set his system apart from anything else on the market. Testament to this is the fact EMACS has been voted the best ‘Bodyshop Management System’ in the Auto Body Repair (ABP) Club ‘Repairers’ Choice Awards’ for six consecutive years. Not only has it won awards, it has also attracted a considerable number of customers, with over 300 systems installed at both group and independent sites. Now it is tackling the bus and coach market and one of its first clients was a notable refurbishment and repair specialist in the north of England. Bus and coach repairers, whether in house or commercial, have many of the same challenges to face as automotive repairers and with the confidence that these applications are working well we may be on the verge of seeing more widespread use of EMACS in the PCV sector.